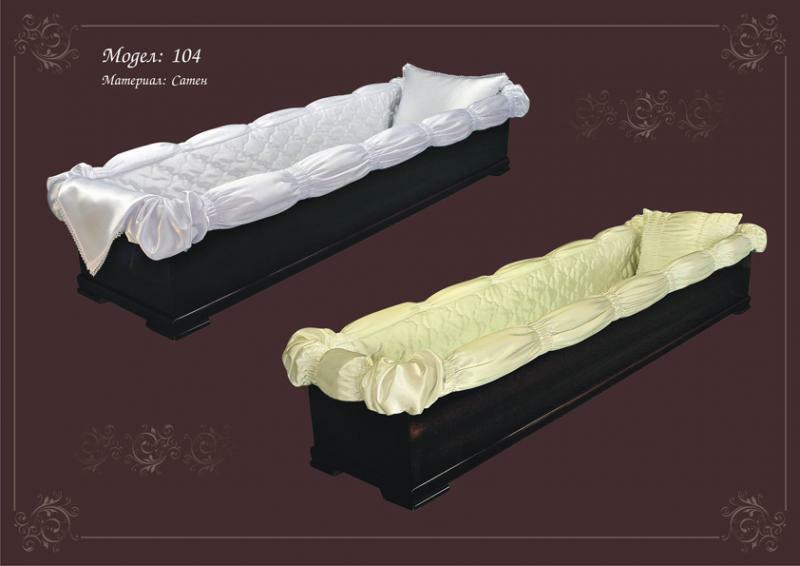 Funeral Agency Karizma offers draping “Kapka Gabrovo” - suites and draperies, coffins and funeral kits manufactured with high quality materials and the models are consistent with the tastes and needs of customers. 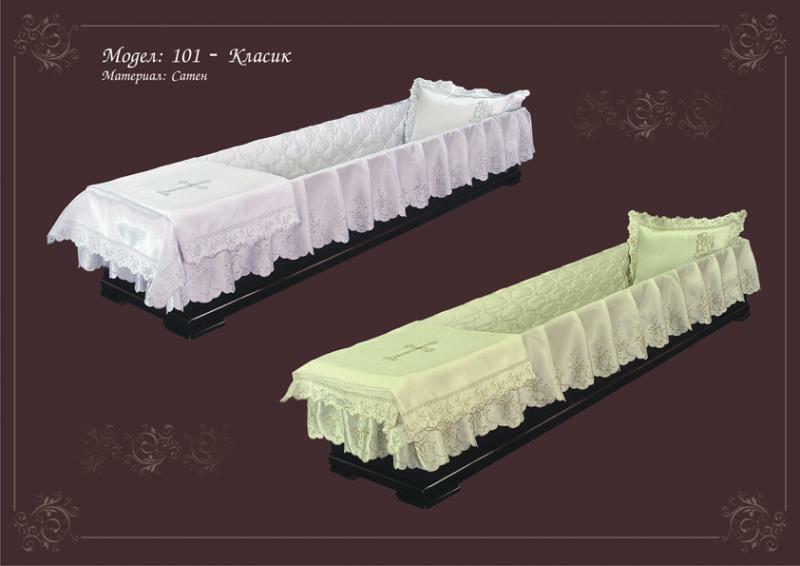 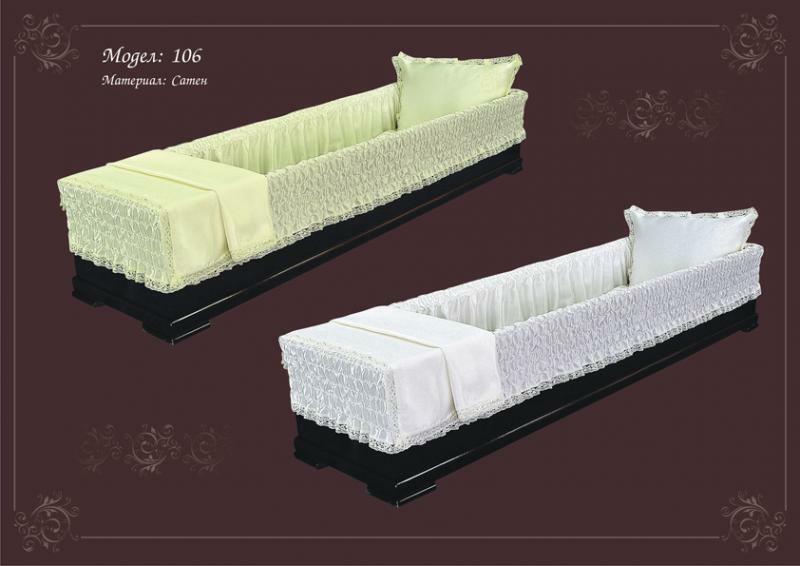 Funeral agency Karizma 2004 offers draperies, simple and luxurious with and without coffins draped at good prices, and other funeral goods and attributes. 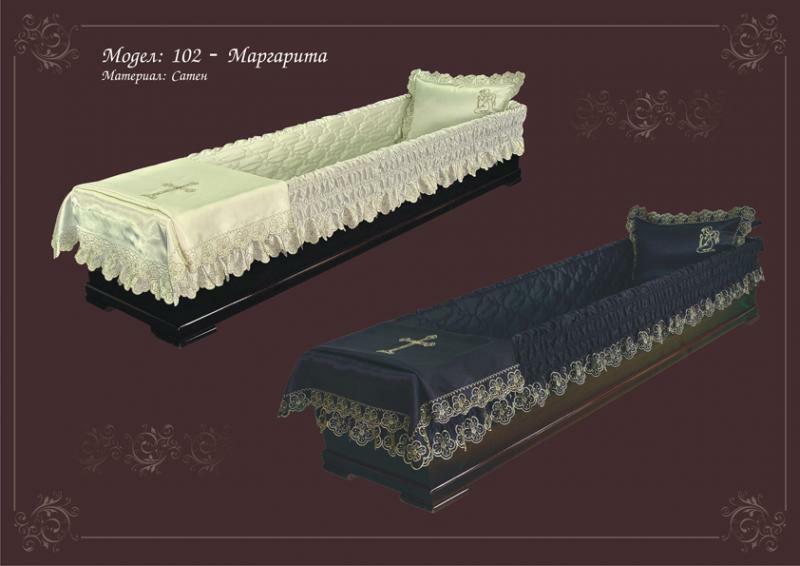 Модел 103 Брюкселска дантелас дъно - 130 лв. 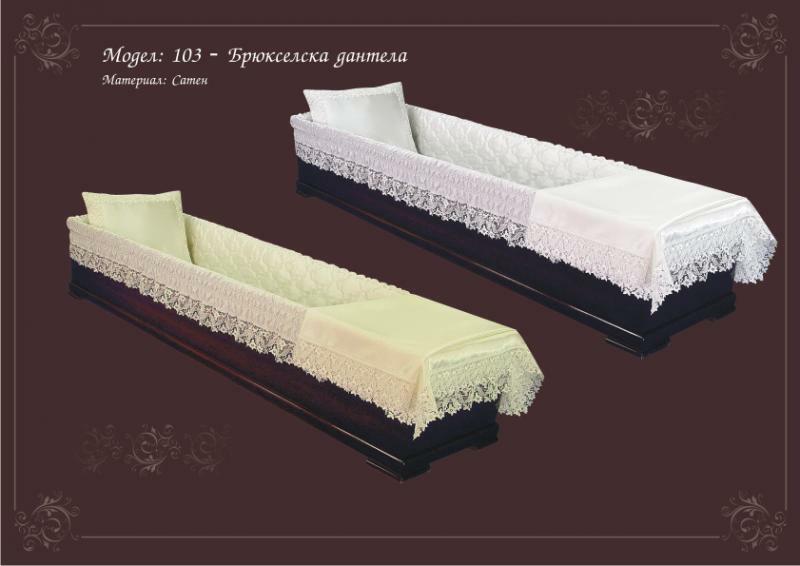 Модел 103 Брюкселска дантела Price: с дъно - 130 лв. 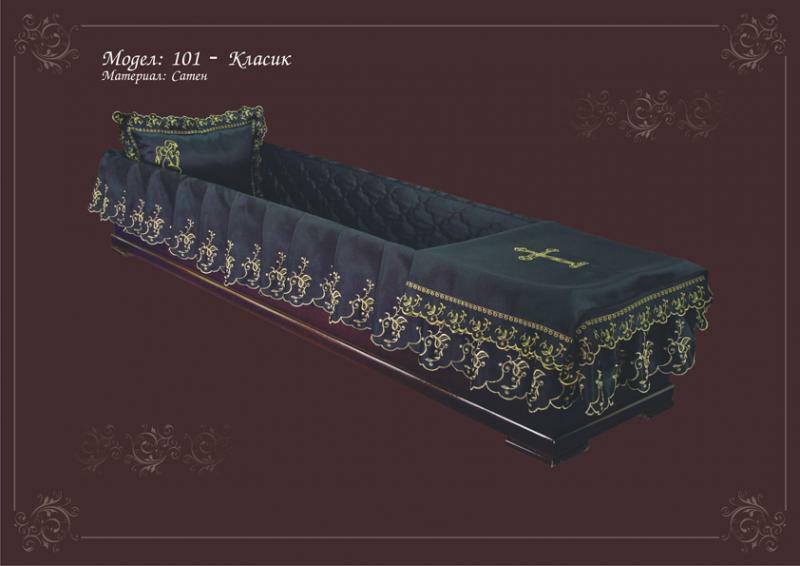 Модели 107 и 110Сатен - 120 лв. 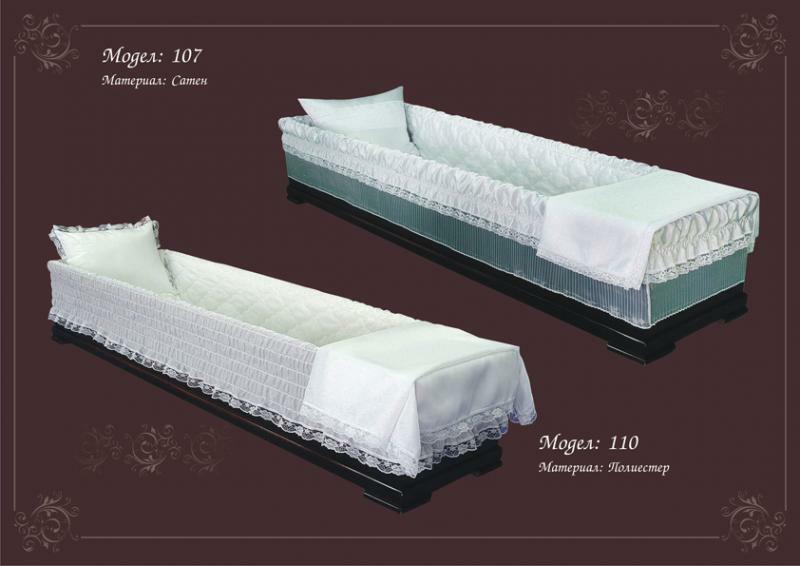 Модели 107 и 110 Price: Сатен - 120 лв. 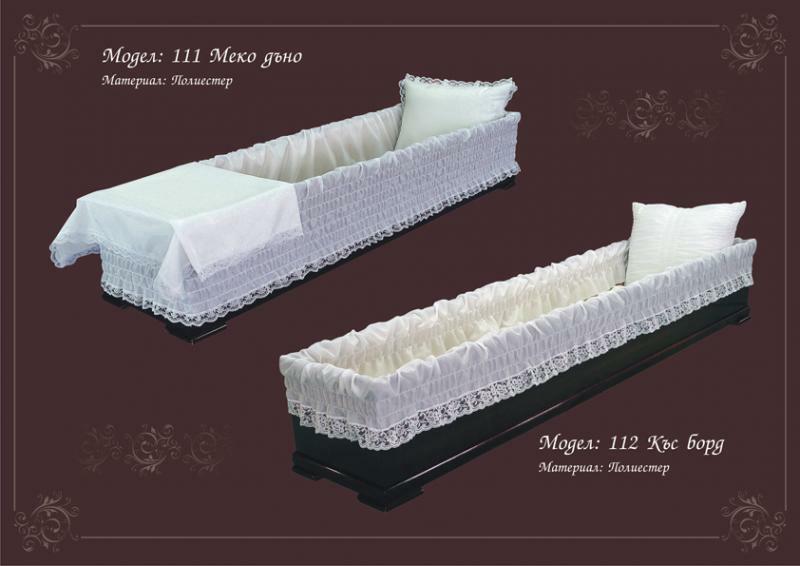 Модели 120 и 121 Обикновениза 120 - 25 лв. 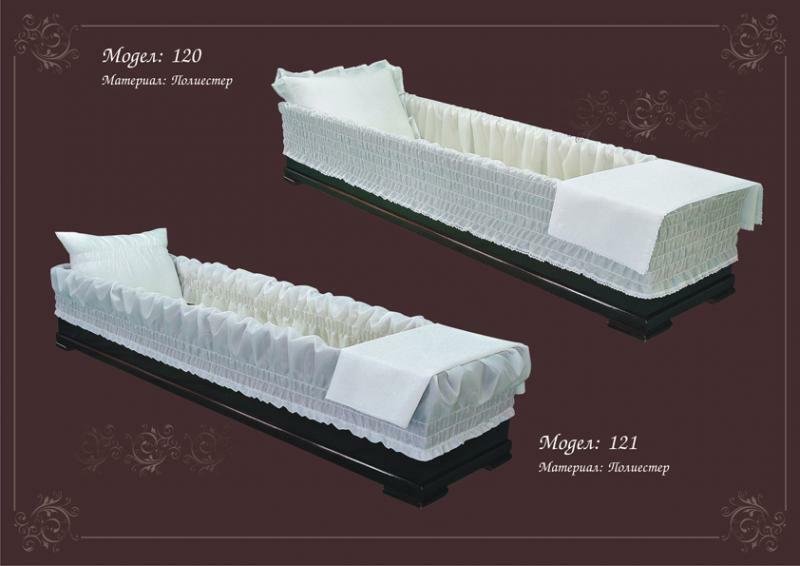 Модели 120 и 121 Обикновени Price: за 120 - 25 лв. 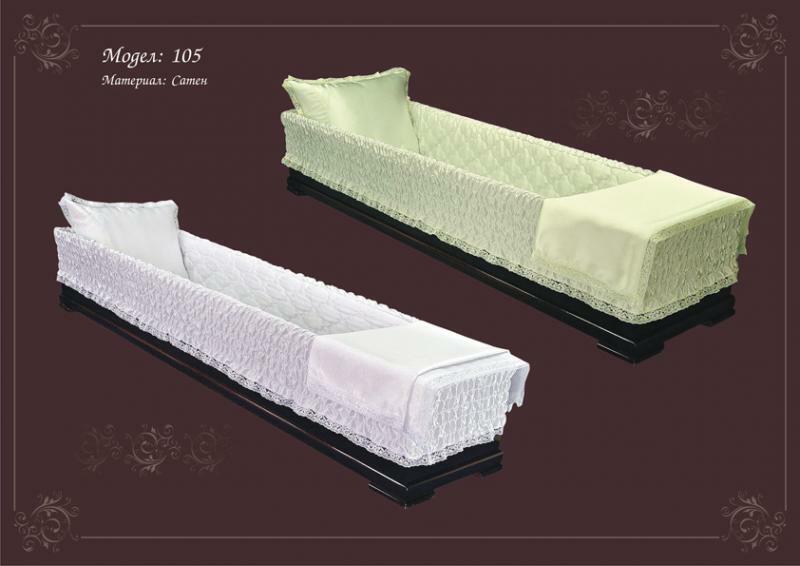 Choose draperies or coffin and order Karizma!